Lecturers and art students in GMIT Mayo pictured at the launch of the new part-time honours BA in Fine Art degree on campus last summer. Photo: Keith Heneghan. An artists' summer residency programme which proved to be a great success when it ran last year for the first time at GMIT Mayo has been launched again for 2015. 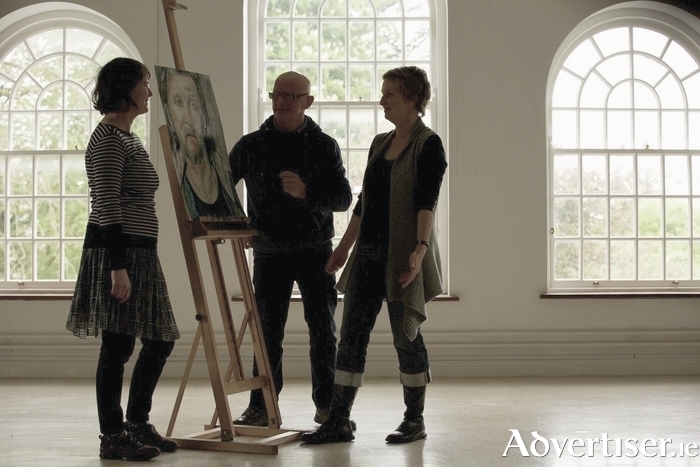 The programme supports emerging and established artists in the region by providing studio space and access to GMIT facilities at the GMIT Mayo campus. The resident artists will also have the opportunity to exhibit their work on site at the historic college campus. The residency will take place over six weeks in July and August and GMIT is now accepting applications. Four places are available. An interview process to decide the successful artists will take place in mid-June on campus. John Mulloy, art and design lecturer, and co-ordinator of the summer residency programme said the residency will be beneficial for artists seeking "space and quiet time to focus on their artistic development". “It will also be of interest to arts professionals who plan on taking a summer break from academic duties and who wish to explore and research from the west of Ireland,” he continued. The four artists involved in last year’s inaugural residency, Betty Gannon, Joanna Hopkins, Amanda Rice, and Ian Wieczorek, developed an exhibition titled In Situ, which explored the social history and fabric of the campus and its surroundings and which attracted a lot of attention. To apply for a place on this programme, or for further information, email [email protected] by June 5. Page generated in 0.1140 seconds.